Iron deficiency is one of leading nutritional deficiencies in women, especially during pregnancy. Iron helps transport oxygen to the body and energizes the muscles and the brain. Folate helps in production of red blood cells and allows the iron to function properly in the body. 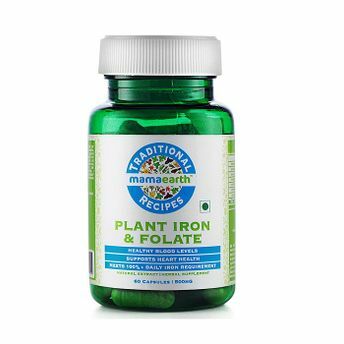 Mamaearth's Iron & Folate Herbal Supplement has herbal extracts of Spinach, Beetroot and Fenugreek seeds to provide the optimum levels of iron and folate. No more worries ladies!